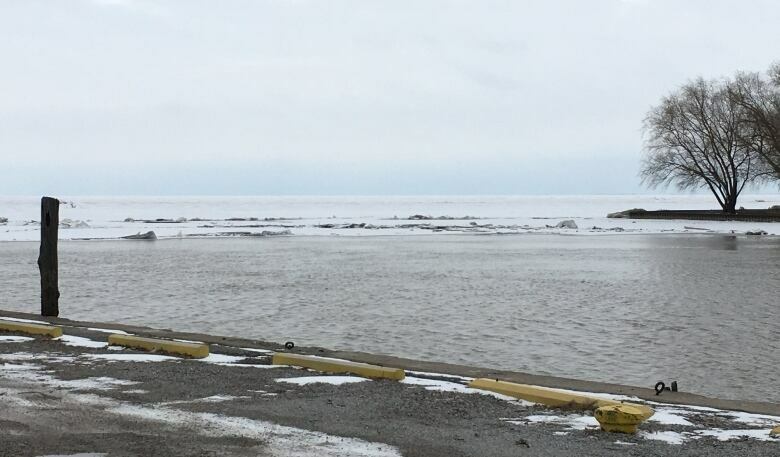 Even though water levels have dropped in the Thames River, they could rise again with the forecasted snow, ice pellets, freezing rain and rain, according to officials. 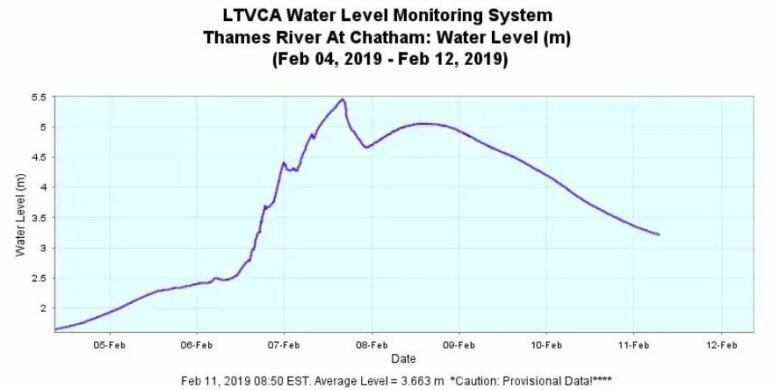 The Lower Thames Valley Conservation Authority (LTVCA) says the river has fallen to just under 3.5 metres, from a high point of 5.5 metres last Friday. Jason Wintermute, water management supervisor for the authority, said if there's more rain, it will make its way to the river. Adding to the fact that "the land's so flat," he said, "even a couple feet can flood thousands of acres of land." But according to the LTVCA, it's not expected to exceed that of last week. The ice is also still a concern. The jam started at Prairie Siding last week and has since made its way to the mouth of the river at Lighthouse Cove in Lakeshore. 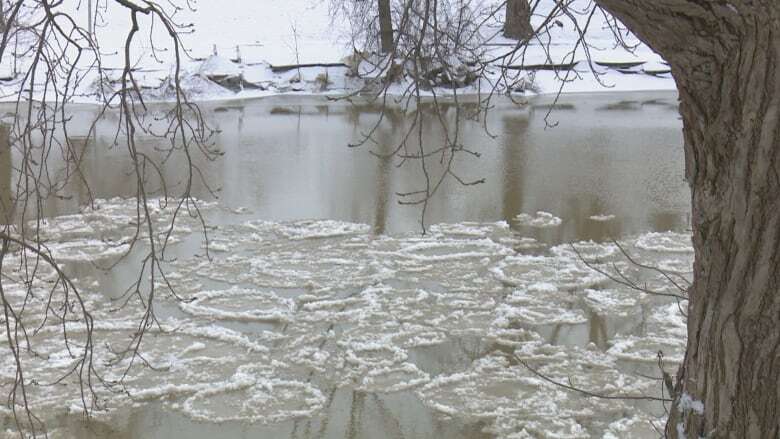 Wintermute said whether the ice jam needs to be broken up or not will have to be assessed. "There's risks both ways, and that has to be weighed," he said. "The risk when you break it up is that it just relocates downstream and jams again, and causes flooding in a new area." If the municipality decides to break up the ice jam, dynamite won't be used — because it could cause further damage to dikes that already have holes, Wintermute added. Instead, a tugboat would be brought in. The person to make that call is mayor of Chatham-Kent, Darrin Canniff. "It's going to be very expensive to do, but we'll do whatever it takes to ensure the safety and property of residents in the area," Canniff said. The decision won't be made for a few more days. Canniff isn't too worried about the forecasted rain, because the river has dropped so much. "If it's normal rain coming down at a reasonable pace, it shouldn't be a problem." LTVCA said the flood watch continues to be in effect and people need to avoid the river, ditches and streams.